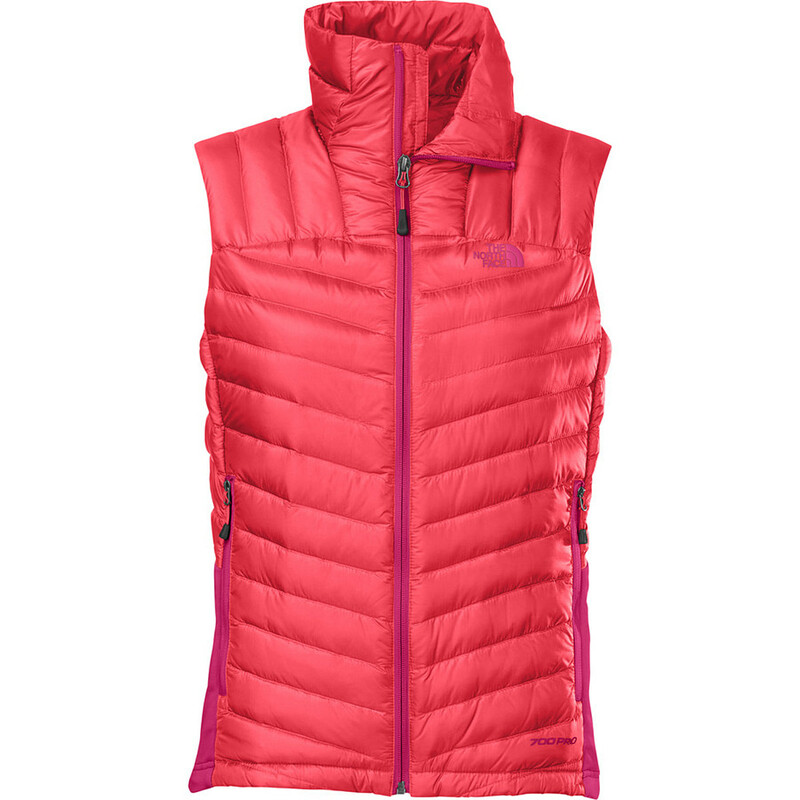 700-fill goose down makes The North Face Women's Tonnerro Hybrid Vest perfect as a cozy, all-around layering piece for cold winter conditions. Ripstop nylon face fabric with a slight sheen gives the Tonnerro fashionable looks. 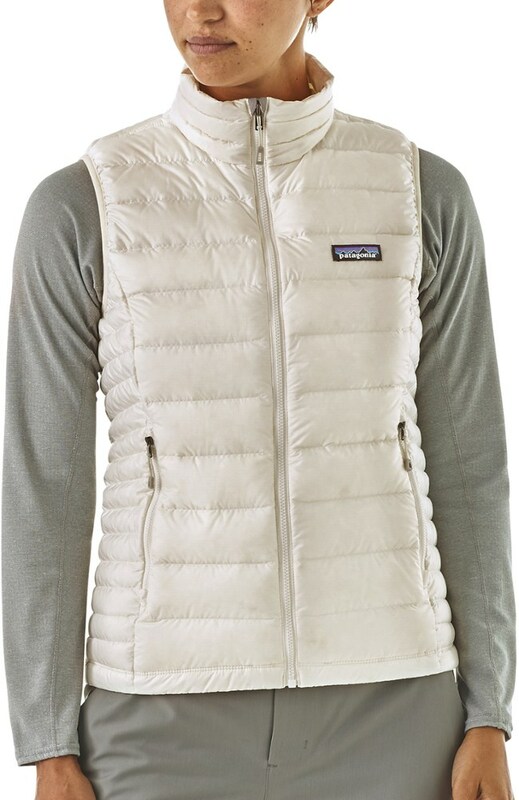 This vest goes well under a shell during those frigid days on the slopes or over a midlayer top for spring skiing or for apres-ski bar-hopping. Hardface fleece side panels provide a comfortable fit while also adding a flash of contrast color. A hem cinch cord and zippered hand pockets give the Tonnerro great fit and functionality, and one of those pockets provides stow capability for compressed and easy travel. 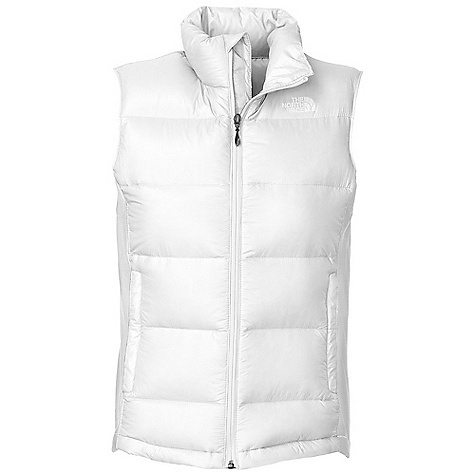 This ultralight, packable vest keeps you warm and active during cold-weather exploits with its 700-fill-power down and stretch panels for breathability and great fit. 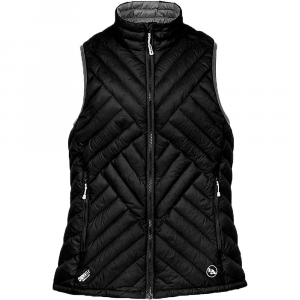 Ideal for all-purpose layering in cold conditions, this warm 700-fill down vest is the perfect volume to wear underneath shell jackets and offers an exceptional fit with stretch fleece at the lower back and hips. The durable nylon ripstop exterior has a slight sheen for extra style points. On Sale. Free Shipping. 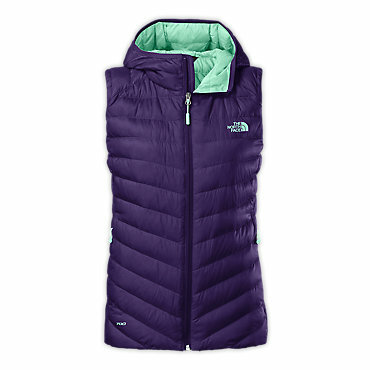 The North Face Women's Tonnerro Hybrid Vest FEATURES of The North Face Women's Tonnerro Hybrid Vest 20D nylon ripstop with 700 fill down insulation Hardface fleece side panels Secure-zip hand pockets Stowable in hand pocket Hem cinch-cord SPECIFICATIONS of The North Face Women's Tonnerro Hybrid Vest Active fit Average Weight: 10.58 oz / 300 g Center Back Length: 24.5in. 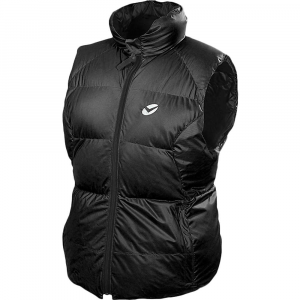 Body: 35 g/m2 100% Nylon ripstop Side Panel: 75D 265 g/m2 93% Polyester, 7% Elastane double-knit pique fleece Insulation: 700 fill down This product can only be shipped within the United States. Please don't hate us. 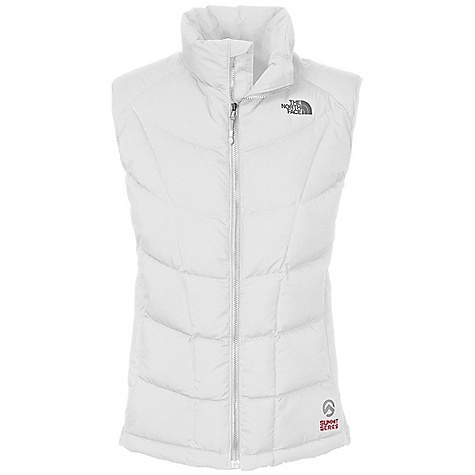 The North Face Tonnerro Hybrid Vest is not available from the stores we monitor. It was last seen January 9, 2018	at Backcountry.com.